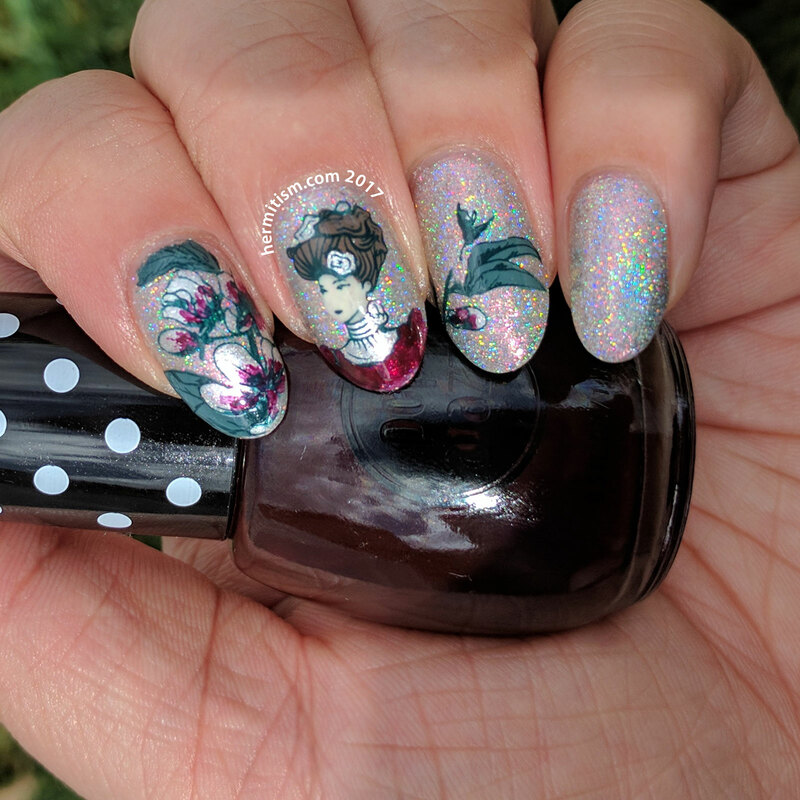 I’m behind on the nail art challenges I normally try to do, so instead of doing them I decided to stamp some nail art over the one polish manicure I’d already been wearing for three days. Normally I would not wear one color of polish let alone do nail art on it, but I went the the Salt Lake City Fan-X con and I knew from previous experience that no one would care what was on my nails. So I spent my time on what I was wearing instead. 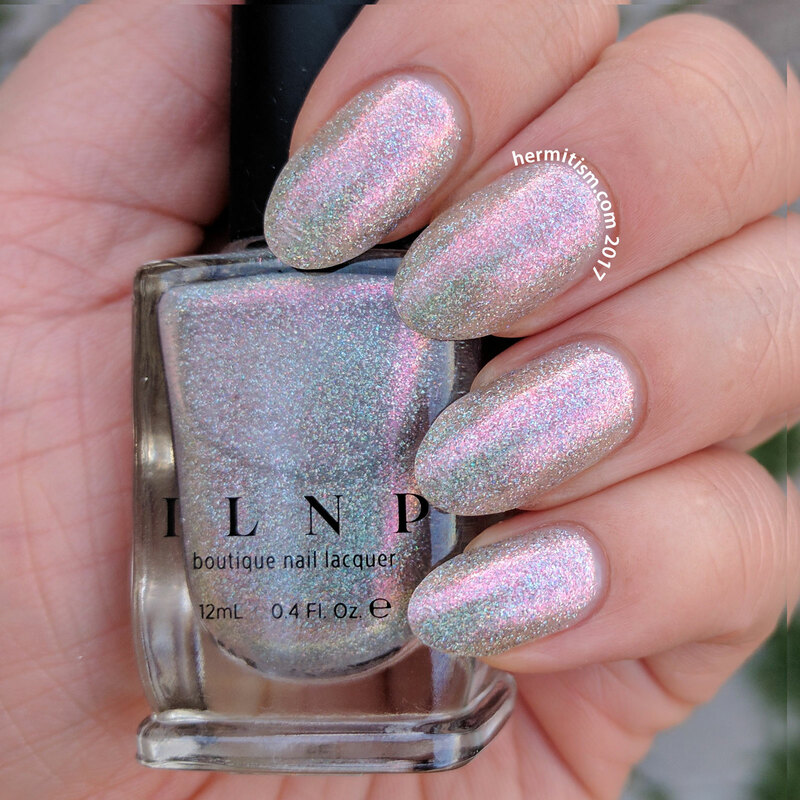 ILNP’s new Color Kissed Ultra Holos polish “Rosewater” is a super holographic flaky polish with a pink flash. 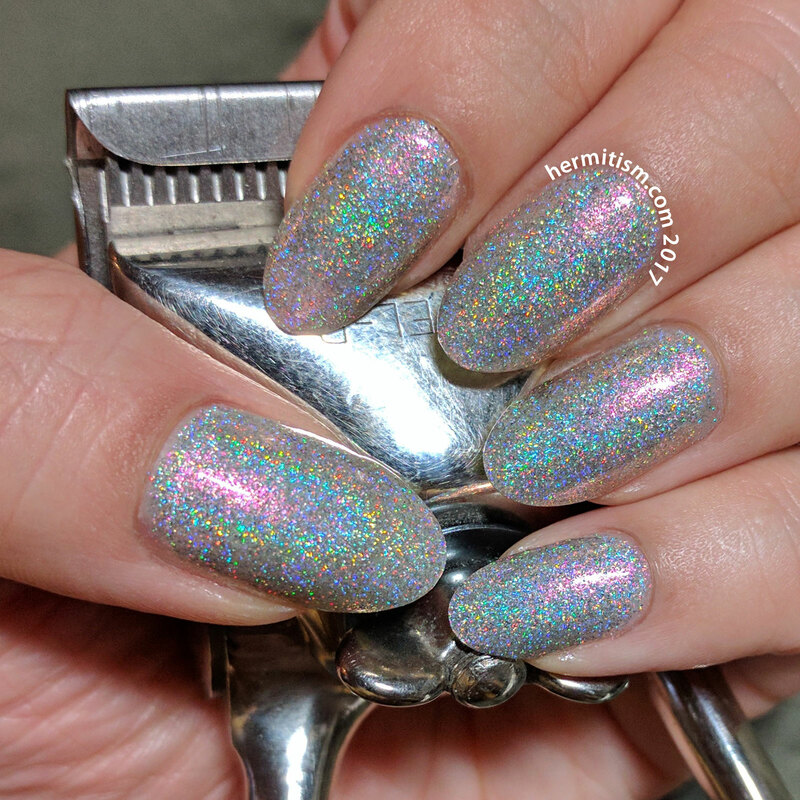 I’ve seen a lot more people featuring it than the other polishes in the collection so I’m guessing it’s the favorite? I have no idea. 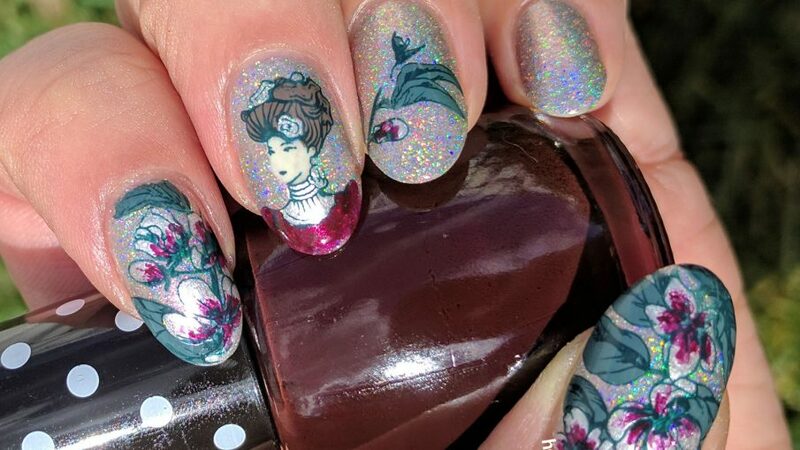 I just wanted to contrast it with a pearly finish and some low saturation green and also make it a little Victorian/steampunk. And now a photos of my nails before the nail art. The first is under a natural light lamp and the second is outside on a cloudy day.